This past weekend our pastor, Fr. Tom Haggerty, shared with us some insightful remarks regarding the powerful story of the prodigal son. I asked if I could share some of them with you and he agreed. Do Fr. Tom’s words strike a cord in your heart? Everyday life brings with it its own set of challenges. How do you react in different situations? Do you take the time to breathe and then respond after you have a better understanding of the background? After Father’s homily, I had more understanding of the older brother because, as Fr. 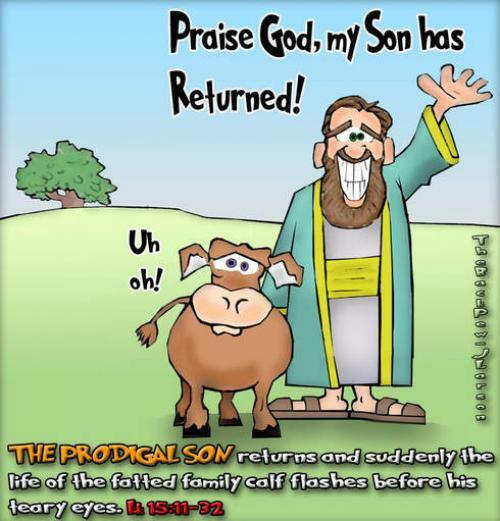 Tom explained, the fattened calf, according to Jewish tradition, was probably being saved for the older brother’s marriage feast. Yikes! P.S. 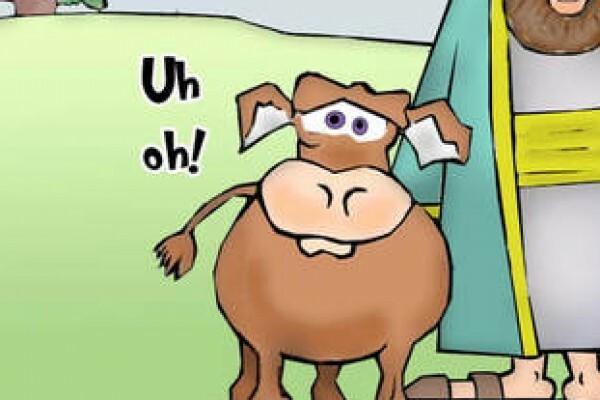 And for a little humor… What happens when we try to understand things from the fatted calf’s perspective? (The cartoon is used with permission from The Back Pew. Visit The Back Pew website to find even more faith-based humor).